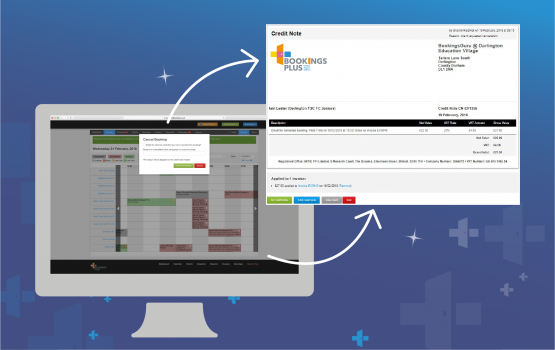 BookingsPlus offers flexibility in generating invoices. Raise all of your invoices at the click of a button or schedule your invoices to generate automatically at a set time, on a set day for Previous, Current or the Next calendar month and notify your customers via automated email that they have a new invoice to pay. You can 'exclude' certain clients who you might not want to include in your automated invoice run, if required. 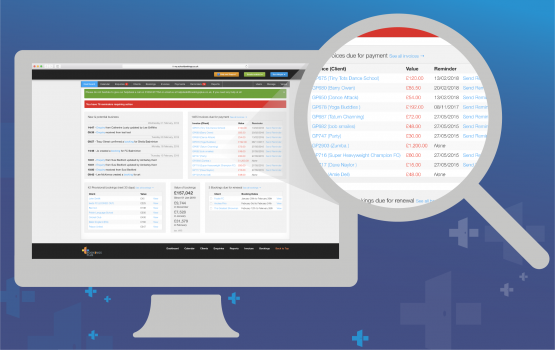 Invoicing in less than a minute! Do you have customers that have played and not paid? The BookingsPlus management dashboard flags this up. One click sends email reminders to all of your late payers. Too many cash and cheque payments? 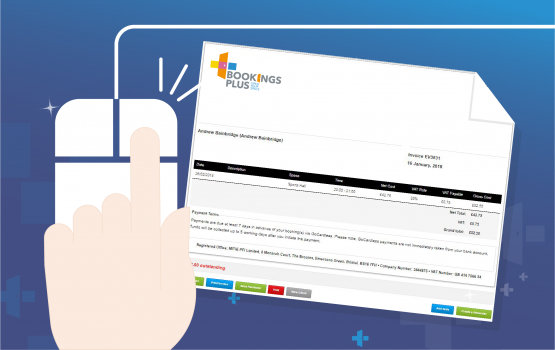 BookingsPlus provides your customers with an online account where they can view bookings and pay invoices online. No more runs to the bank! 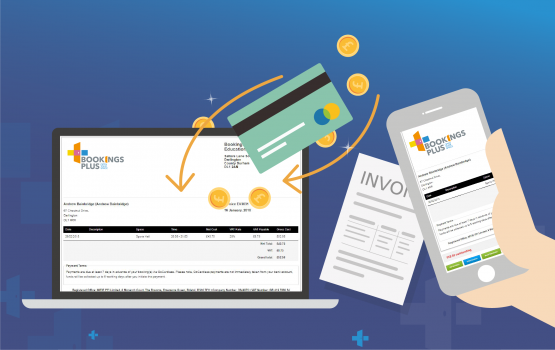 BookingsPlus offers a variety of online payment options with low processing fees, making payments is quick and simple for customers and cheap for you. Frozen astro pitch and need to cancel tonight's bookings? Simply select and cancel bookings with one click. Credit notes will automatically be raised for each hirer that they can view in their account immediately and will adjust their account balance.